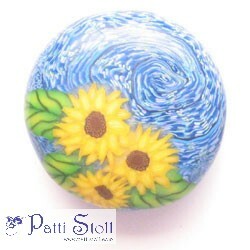 Patti Stoll is an artist who works with both polymer and metal clays, creating a wide variety of art pieces. 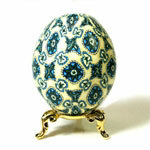 From collectible eggs to art jewelry to special occasion glassware, this versatile artist covers a lot of ground. The most recent additions to the line are jewelry pieces made from precious and base metal clays, including fine silver, copper and bronze. 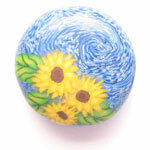 She has also organized the local Westsound Polymer Clay Group, in the Kitsap area of Washington and is available for private tutoring. 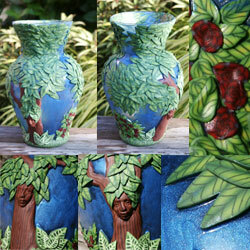 We ship using USPS to U.S. destinations and several other countries. Larger packages can be shipped via other shipping services. For items in stock, they usually go out within 24 hours of ordering. Custom orders take longer, on a case by case basis. Please read complete shipping information under Shipping and Returns, found in the left column. You may pay with most major credit cards or from your PayPal account. All payments are processed through a secured connection. I have used PayPal to accept credit card payments for over ten years, without a single problem or incident. You do NOT have to have a PayPal account to use your credit card. Copyright © 2019 Patti Stoll. Powered by Zen Cart. Zen cart templates by Picaflor Azul.